Researchers bombarded a toe bone from a giant carnivorous dinosaur, Allosaurus fragilis (shown here), finding that the beast apparently had an amazing power to heal its broken bones.Phillip Manning. Analyzing fossils for signs of healed fractures often involves slicing through them, damaging these rarities. 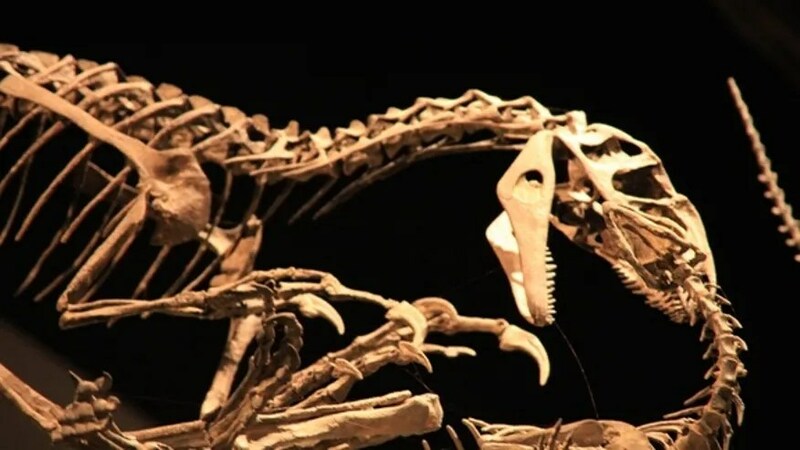 Now scientists have used intense X-rays with beams brighter than 10 billion suns to illuminate breaks hidden within the bones of a 150-million-year-old predatory dinosaur. The researchers examined a toe bone from a giant carnivorous dinosaur,Allosaurus fragilis, excavated from Utah. They bombarded the fossil with X-rays from the Diamond Light Source in England and the Stanford Synchrotron Radiation Lightsource in California. Both light sources are synchrotrons, or particle accelerators that can generate powerful beams of light, which the investigators used to analyze the chemical nature of samples down to a resolution of 2 microns, or 1/50th the average diameter of a human hair. There are subtle chemical differences between normal and healed bone tissue. The scientists discovered they could detect the “chemical ghosts” of ancient breaks.